Oh Boy, New Comics! For April 2, 2014. Every Monday on G&C I’ll be previewing the new comics I’m most looking forward to in the coming week. These are the comics that I expect will be fun, exciting, and worth your monies. If you think I’ve missed anything, leave a note in the comment section and let me know what you’re eagerly anticipating. Here’s my top three, and then a short list of other books to be aware of. Cover to “Starlight” #2 from Image. 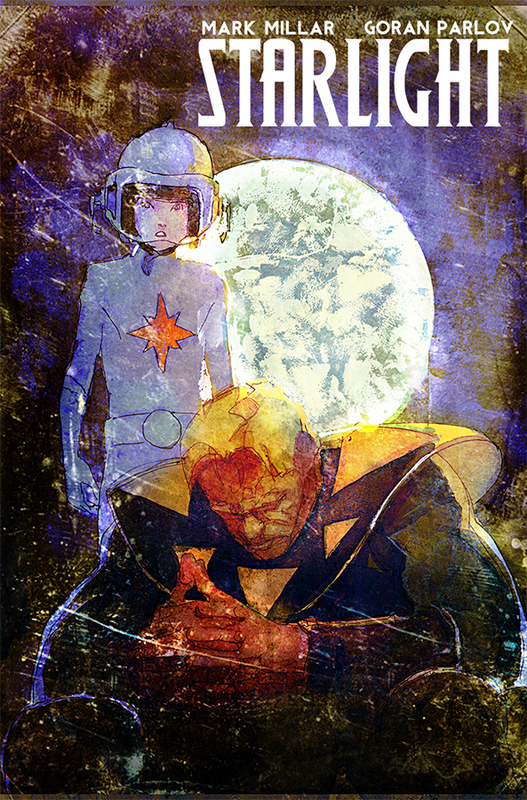 Cover art by Bill Sienkiewicz. “Starlight” #2: Written by Mark Millar. Art by Goran Parlov. Published by Image. Price: $2.99. This is the comic that makes my heart beat a little bit faster. When I think about “Starlight” my palms sweat, I can’t speak. You guys, I think I’m in with love this book. “Starlight” #1 is one of my favorite single issues of 2014 so far, and this series has a shot at being my favorite new series of the year. Throw out your expectations of a normal Mark Millar book. “Starlight” is touching, sentimental, and the main character is endearing and genuine. Please, please read this book. 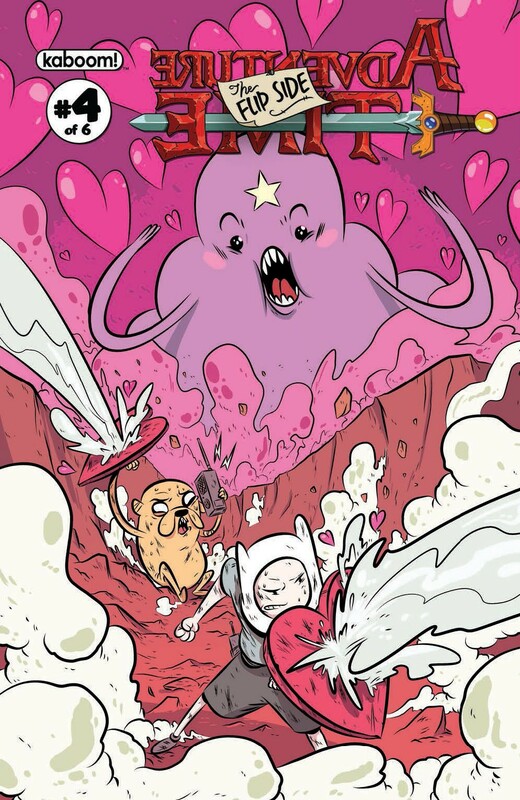 Cover to “Adventure Time: The Flip Side” #4 from BOOM!. Cover art by Wook Jin Clark. “Adventure Time: The Flip Side” #4: Written by Colleen Coover and Paul Tobin. Art by Wook Jin Clark. Published by BOOM!. Price: $3.99. What started with the first hilarious “Adventure Time” title has blossomed into a whole family of hilarious spin-offs and companion pieces. “Adventure Time: The Flip Side” is one of those new side-books, a six part mini-series whose goal is to send Finn and Jake on the craziest, most unpredictable adventure possible. So far, they’ve been succeeding. If you like Adventure Time, or jokes, or giggling, I think you’ll like reading this comic. Cover to “Ultimate Spider-Man” #200 from Marvel. Cover art by Mark Bagley, Drew Gennessy, Justin Ponsor, and David Marquez. “Ultimate Spider-Man” #200: Written by Brian Michael Bendis. Art by Dave Marquez, David Lafuente, Sara Pichelli, Mark Brooks, Mark Bagley, and Andrew Hennessy. Published by Marvel. Price: $4.99. Ready your tear glands people; my Spidey Senses are telling me that this 200th issue is going to be emotional. 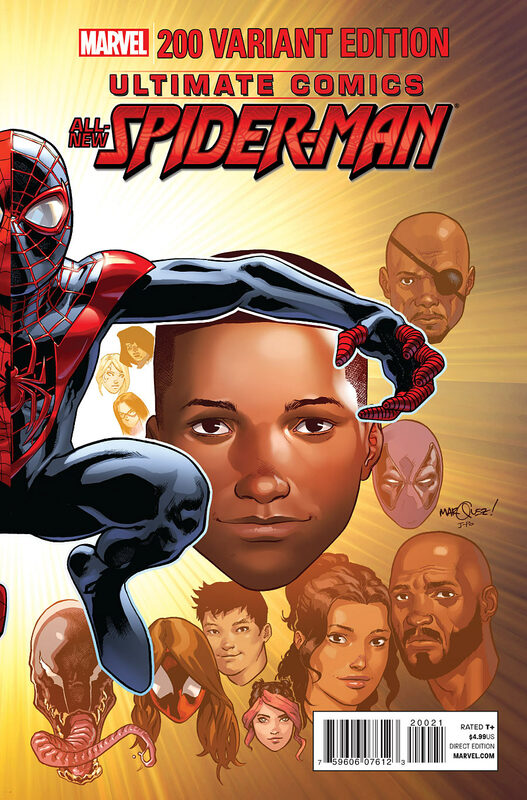 “Ultimate Spider-Man” has been a joy to read, and if you haven’t yet been acquainted with Miles Morales, you are missing out. Marvel is billing this story as the anniversary of Ultimate Peter Parker’s death, teasing that it has the “biggest surprise ending” of the year. That sounds enjoyable to me. Cool Books That You Really Should Know About: “Pretty Deadly” #5, “Black Science” #5, “Swamp Thing” #30, “Trillium” #8, “She-Hulk” #3, “Moon Knight” #2, “The Superior Foes of Spider-Man” #12, and “Quantum and Woody” #9. Should be a good week. Check back in on Wednesday and Thursday to see some reviews of this week’s comics, and let us know in the comments section if there are any comics that you’d like to see reviewed. Enjoy new comics day!